To link up your blog post (or the web address where you’re Christmas mantel/ledge/shelf photos are saved), just scroll down this page until you see the little blue “Add Your Link“ button near the end of this post. Click that, and follow the instructions on the page you’re redirected to. The instructions involve uploading a thumbnail image and creating a title for the image you’re using. You may want to title it with the name of your blog, or with the title of your Christmas mantel post- it’s totally up to you. Note: Make sure to link to your Christmas mantel post (not to the main page of your blog) so folks who stumble onto this post later on down the line can still click through and see your Christmas-themed inspiration! We sure do appreciate you e-partyin’ with us, and we hope you and yours have a very Merry Christmas this year! so fresh…and the third stocking…such sweetness. prayers knowing that God knows the plans He has for you and Kevin..and they are good and will be perfect in their timing. one of my friends adoped through Lifeline at New Day Foster Home in China…they were lovely to work with. Hi Kevin and Layla! I’m excited to join in. I look forward to this link up each year. 🙂 Your mantel is so unique and beautiful! 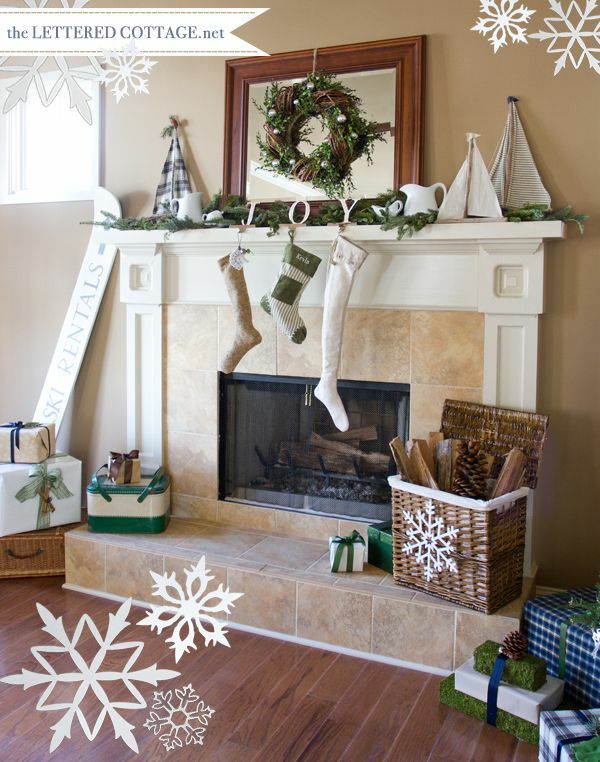 So many pretty mantel ideas! Thank you for hosting! Wowee! So many incredible mantels here! We’re a tad late but still wanted to join in the fun. 🙂 Thanks so much for hosting! Thanks for hosting this party!!! You and everyone else has created so much wonderful, beautiful mantels!! Layla, I love your wreath and the simplicity of your mantle. So pretty and restful to the eye. Wonderful party and great inspiring ideas. Congratulations on your new house. Can’t wait to see all you do with it! This is such a wonderful party! Thanks so much for hosting! Thanks so much for hosting the party! I just linked up #354 our diy shelf mantel. I am probably the latest person ever to the party! ha. This was such fun! Loved all the mantles. Thank you so much for hosting. Your mantel is stunning! Thank you so much for welcoming all of us into your blogging home to host such a fantastic party. thanks for the great party! I hope you can stop by for the house tour!! Hello L & K….stopped by from JBiggs and must say I love your blog. I am now following you on fb . Happy Holidays! Oh Gosh….I’m so behind in reading! What about those of us who are mantel-less? I’m a mantel wannabee……but in Florida…………no mantel in my home. I have to say, this is the biggest Christmas party I have ever attended! Thanks for the hosting. What fun ideas to see. Thanx for hosting! Hope you and Kevin have a fabulous holiday in your new home. I love your mantle. Can you please tell me the name and brand of wall paint that you used on the wall around the mantle? I’ve been looking for that color for what seems like forever. This is my first time linking to anything in a blog party…a little behind the times!! Hopefully I did it right! Loved looking through everyone’s lovely blogs and Christmas preparations. Thanks for the party! I’m really late but here’s mine:http://mandystansberry.com/cottage/christmas-mantle.